Bateig Natural Stone is synonymous with quality, harmony and perfection. It is a really versatile material, completely able to embellish facades, floors and even inner walls. Its possibilities are unlimited, since every design is liable to be made of our stone. Bateig stone is a biocalcarenite extracted from our own quarries, located in Novelda (Alicante, Spain), which extend along 2 million square meters. 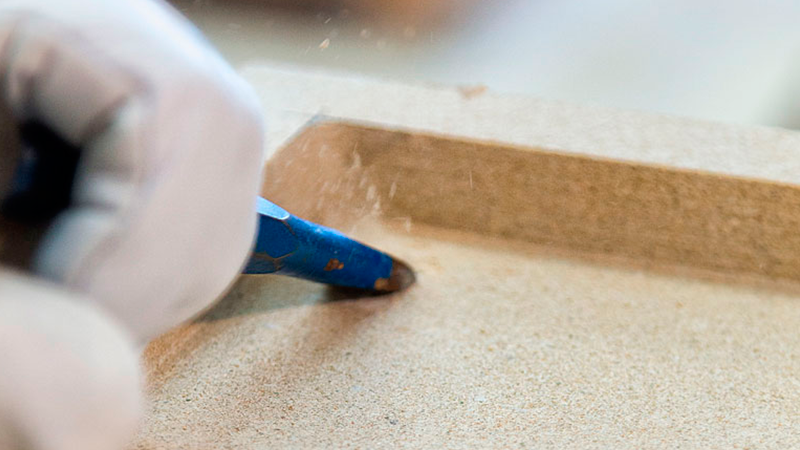 The extraction process is carried out uninterruptedly by our team, so as to pull out every sample of natural stone: Bateig beige, Bateig azul, Bateig fantasía, Bateig Galaxy, Bateig diamante y Maroc Claro. Besides, it is also important to emphasize that Bateig collection of samples has its own sail of quality, awarded by the Laboratory of Applied Petrology of the University of Alicante. Bateig natural stone adapts perfectly to different contexts. It is suitable for outdoor spaces, such as facades and terrace floors, and also for interior areas like inner walls, floors, staircases and even furniture. 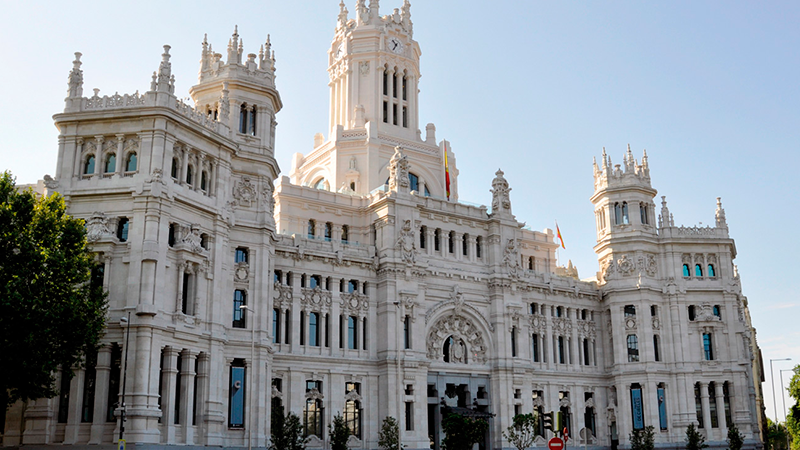 Its use on emblematic restoration projects, such as Almudena Cathedral in Madrid or Madrid City Hall, is stunning and harmonious. On the other hand, when it is used on corporate buildings like Liberty Tower of Dubai, the results are innovative and restrained. Madrid City Hall (Spain). Bateig natural stone facing. It is also important to mention the suitability of the stone to produce original and decorative home elements such as bathtubs, shelves or even fireplaces, which will definitely be the centre of attention of a room. 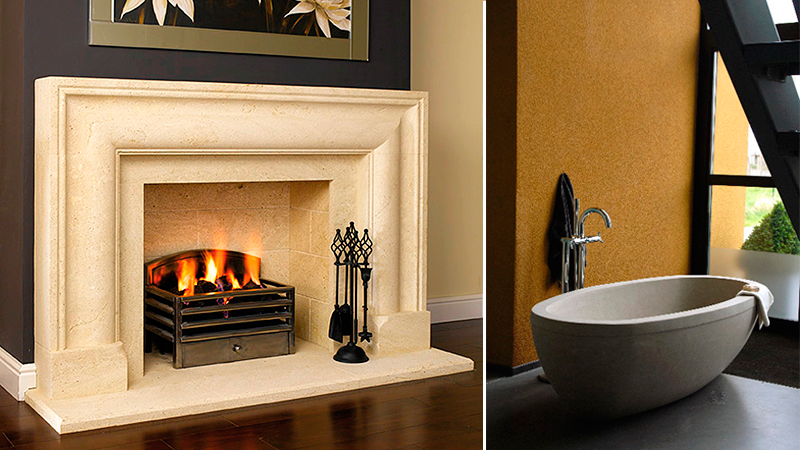 Bateig natural stone bathtub and fireplace. In the same way, Bateig natural stone is perfectly compatible with other materials like wood, metal or glass. The variety of colours available as well as the wide range of finishes offered makes it an amazing material, completely able to meet all kinds of requirements. In a nutshell, Bateig natural stone features a high degree of homogeneity due to the fact that both, its mechanical properties and appearance colour, remain unchanged over time.